The Gospel of Luke is the biggest book in the New Testament, and when combined with its sequel, the Book of Acts, it comprises nearly one-third of the total New Testament. Luke-Acts is also the only continuous history of earliest Christianity in the New Testament, and as such it would not be surpassed until the Church History of Eusebius, some three hundred years later. Luke is commonly acknowledged as the Gospel most sympathetic to Gentiles, outsiders, and the outcast. This is true, but Luke equally accentuates the birth of Jesus, his ministry, and the gospel resulting from it, as the fulfillment of God’s promises to Israel. The emphasis on Israel, Jerusalem, and especially the temple makes Luke the most uniquely Jewish Gospel as well as the Gospel most sympathetic to non-Jews. Another uniqueness in Luke’s two-part work is his interest in situating the gospel in the context of world history. This must also be seen in the context of Luke’s unfailing concern for the dispossessed — lepers, Samaritans, tax collectors, Gentiles, perhaps even women — who are relegated to the margins of history. In tandem with Luke’s interest in the dispossessed is his emphasis on rulers and authorities, including Caesars, governors, centurions, tribunes, chief priests and Pharisees, pagan religious cults, and above all, Satan himself. Two-thirds of Luke’s references to powers and authorities occur nowhere else in the New Testament. Luke not only sets the gospel in the context of these rulers and authorities, but he shows that the gospel makes a unique claim on each of them. These two emphases are particularly important for readers today. The church is full of people on the margins, the easily overlooked or mistreated, and the church needs to be attentive to them. Luke is good news for such people. Luke’s emphasis on rulers and authorities also shows that for him, the gospel is not something “done in a corner,” but good news — public news. Luke is a helpful exhibit of Christianity with a public face. Finally, it is important to recognize that only Luke of the four Evangelists addresses the question of the sources of his Gospel. Luke admits that he is not an eyewitness of the events he narrates, but that he draws upon eyewitness narrative, indeed from the apostles themselves. 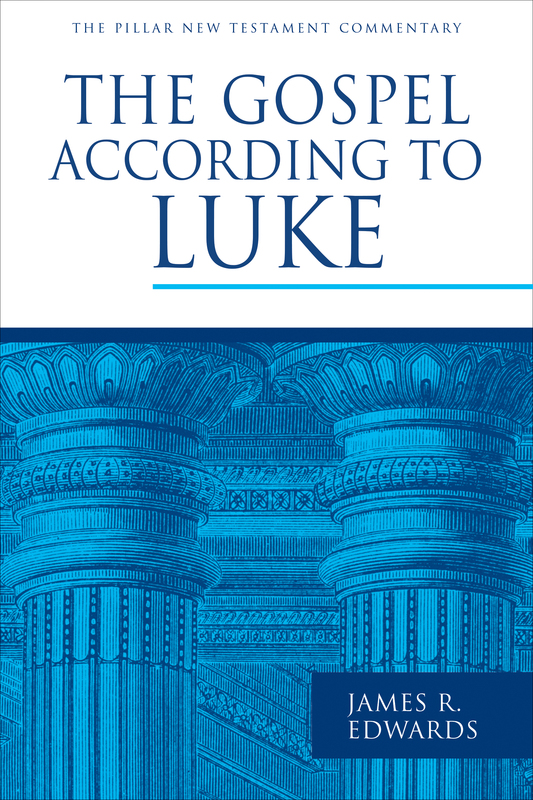 In the material unique to Luke — which comprises fully fifty percent of the entire Gospel — Luke exhibits an inordinately high number of Hebraisms, which may indicate that one of the sources alluded to in the preface (Luke 1:1–4) was, in fact, the Hebrew Gospel itself. Commentaries on the Gospels, especially on Luke, since it is the longest book in the New Testament, are now growing into two, three, or even four volume affairs. I keep my Pillar commentary to a single volume that is affordable and manageable. I also keep two audiences in mind — both scholars who are primarily interested in historical, textual, and source questions, and preachers and lay people who are more interested in the meaning and insights from the Gospel of Luke for Christian life today.